A one-of-a-kind find! 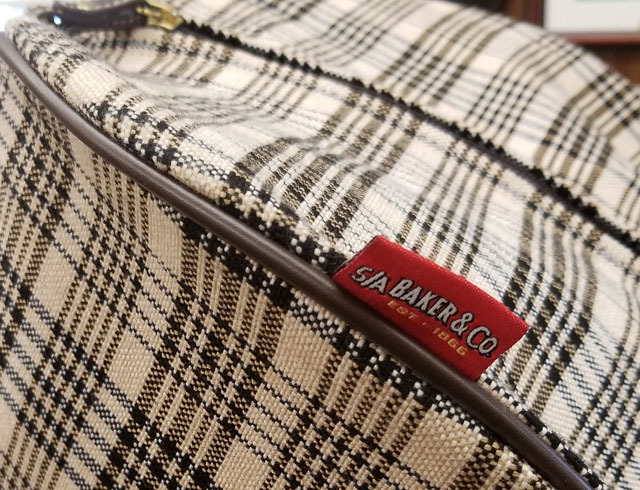 This 5/A Baker Lined Saddle Carrier was made by the Amberhill Co. of Ontario, CA exclusively for Baker and is one of the last pieces of Baker merchandise remaining besides the blanket line. 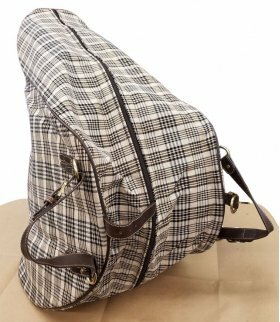 Saddle carrier is lined with soft fake fur to completely protect your saddle's finish. Trademarked plaid shell is of heavyweight Baker stable blanket material. Fits up to full size cutback saddle seat show saddle down to a smaller endurance saddle. 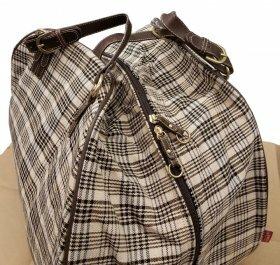 Leather cinch strap so the bag can be carried like luggage. 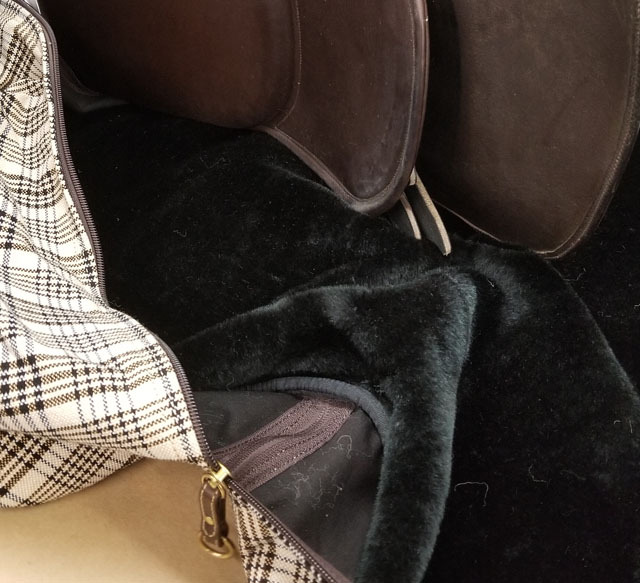 Scroll through the images to see that we have a Norman 21" Saddle Seat show saddle snugly but perfectly fitting inside the bag. 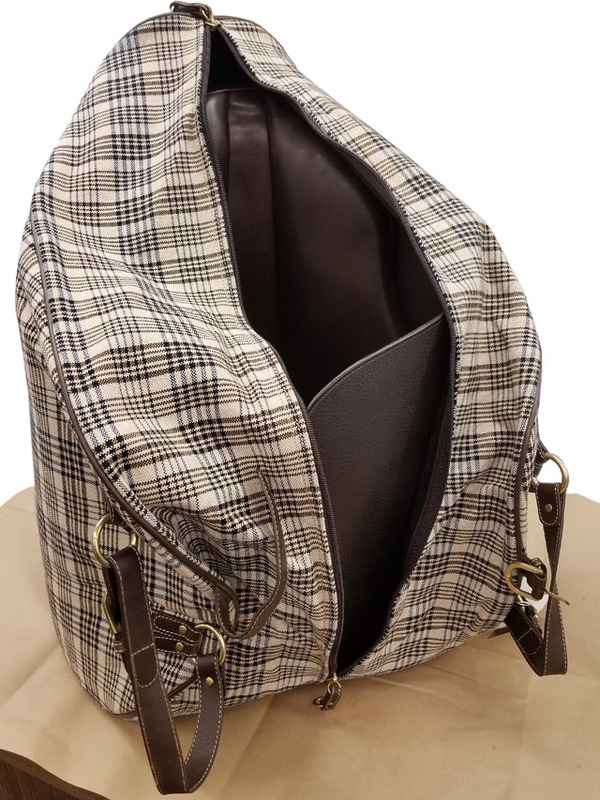 Only one in stock - get it today!